As Palestinians in Gaza flee their homes or see them be destroyed, sometimes with family members inside, pictures of these horrors fill national and international media. Most of us wish we could help, and we’re looking for ways to give. This feeling of obligation to fellow human beings and the desire to give is precisely what Dalia Association is founded upon and what Dalia seeks to promote in Palestinian civil society. If you feel moved to give money to a humanitarian organization serving the people of Gaza, we hope you will. When you donate, however, we hope you’ll do so thoughtfully rather than on impulse. Not all organizations are the same. We encourage you to support local organizations rather than international ones, whenever possible. Whether local or international, give through organizations that respect Palestinians’ right to decide how to use these resources. While the funding to rebuild Gaza may have to come from outside, the control over the rebuilding must be local. In addition, don’t let your charitable contribution be the end your action. Giving does not happen within a political vacuum. If you would like your contribution to have maximum impact it must be accompanied by political action that will finally enable Palestinians to secure their rights and prevent future humanitarian disasters. 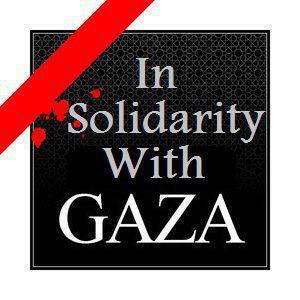 First, give your effort to hold your own institutions accountable for their responsibilities in Gaza. Wherever you live in the world, contact your elected officials and demand that they apply pressure to stop the attack. If your company or institution invests in companies that supply the Israeli military with weapons or training, call for an immediate freeze on these investments. Second, when you give, make a commitment to give regularly. You may give monthly, quarterly, or annually. The amount doesn’t matter; what matters is the commitment to stay engaged. If you would like information or assistance on how to invest responsibly in the people of Gaza, please contact us. You can also read about Dalia Association’s new Gaza Fund which will pool philanthropic contributions in order to more effectively invest in Gaza and restore control of development in Gaza to its people. What’s Going on at Dalia? Women partners from Ramallah and Salfeet (11 June 12 June) met to present their price offers to each other. Each organization gave and received advice on choosing the best price offer from the other organizations. Our goal in producing this newsletter is to keep our membership informed and involved. Since we want the newsletter to be as relevant as possible to your interest and participation, we look forward to hearing your comments. You can participate by writing an article or sharing your experiences. Send your writings and comments to [email protected]. "Dalia is growing. Please help us find the right people for these very strategic new positions. The application deadline is January 15, 2014"